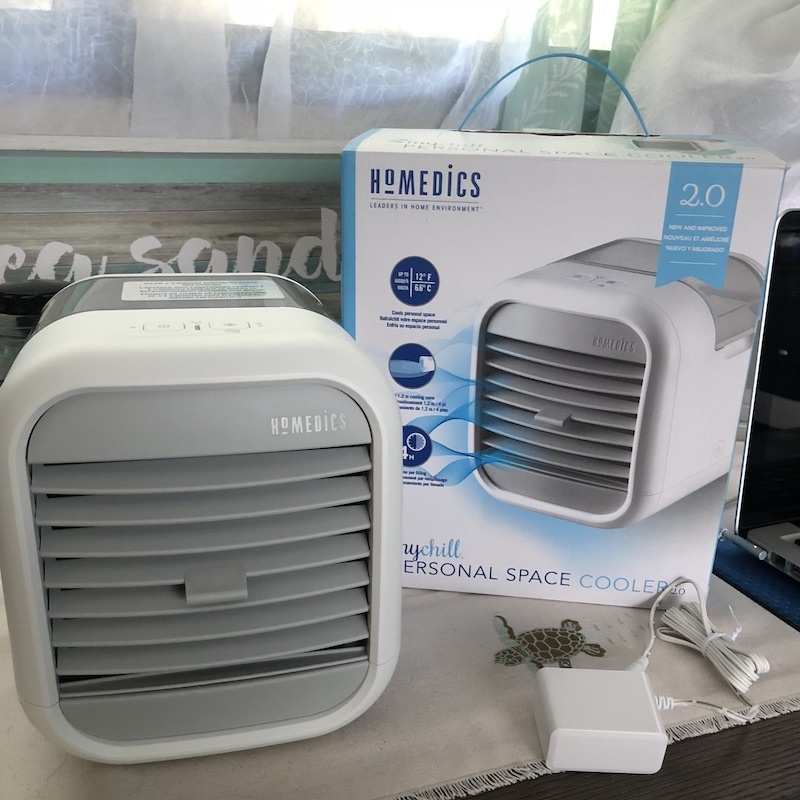 I received the HoMedics® MyChill ™ Personal Space Cooler in order to facilitate my review. All opinions are my own and may differ from yours. Just Plum Crazy only recommends products that we use and feel meet or exceeds our expectations. 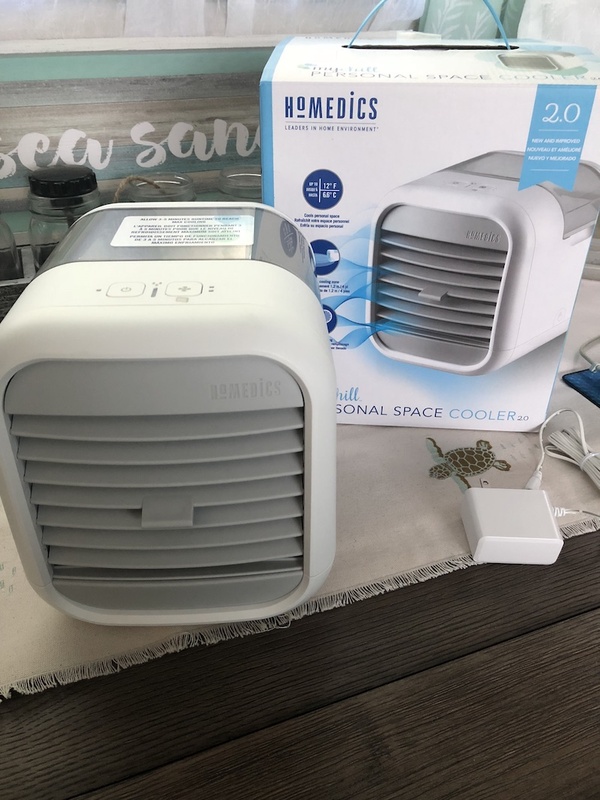 If you are looking for the perfect Father’s Day gift or any gift for that matter, the Have you ever been in a situation where everyone is cold yet you want to drop the air conditioning temperature some more? It seems that is me all the time. I guess I’m just warm blooded and wish I would have found the HoMedics® MyChill ™ Personal Space Cooler a long time ago. My husband always complains that it’s too cold at night but if it’s too warm, I can’t sleep. Thankfully the HoMedics® MyChill ™ Personal Space Cooler helps me to sleep comfortably. It’s easy to use and provides a four foot cooling area lowering the temperature up to 12°. The best part is that I can move it around and can be used in the bedroom, office, table, dorm room or anywhere you need to use it. Just add water, turn it on and use it. 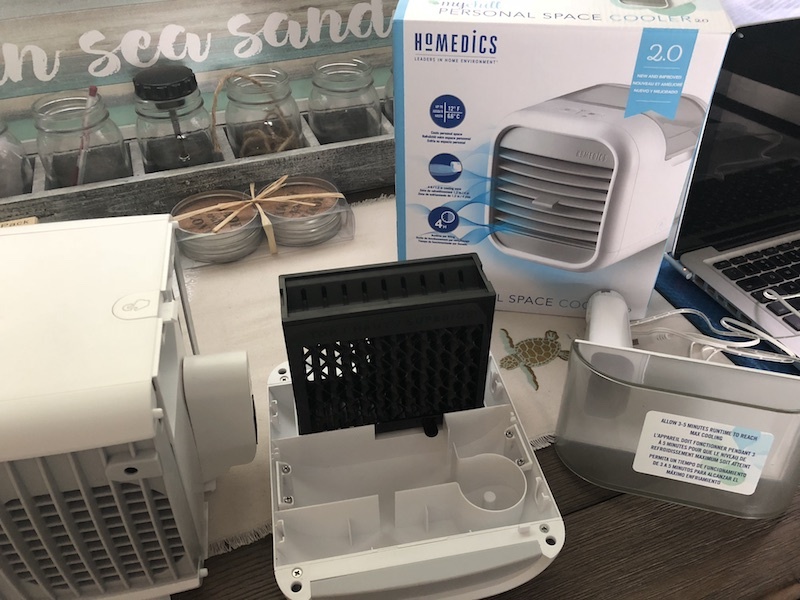 It features 2 speeds, an adjustable vent, and Clean Tank Technology to keep it mold- and mildew-free. 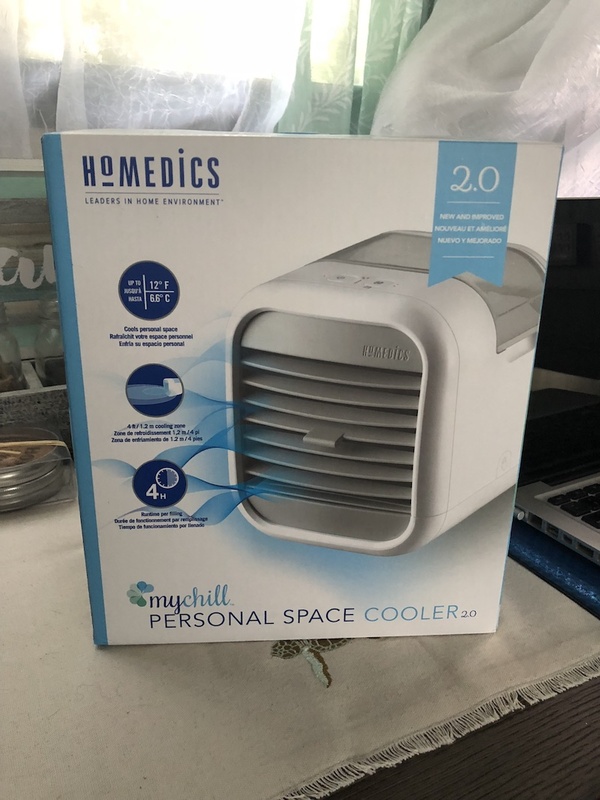 There is also a HoMedics® MyChill ™ Plus 2.0 Personal Space Cooler that will cool a six foot area and has three fan speeds. The HoMedics® MyChill ™ Personal Space Cooler is available on HoMedics website along with many other fabulous items.